I just spent hours running around as a deer through a 2.5D wilderness, and I enjoyed it. 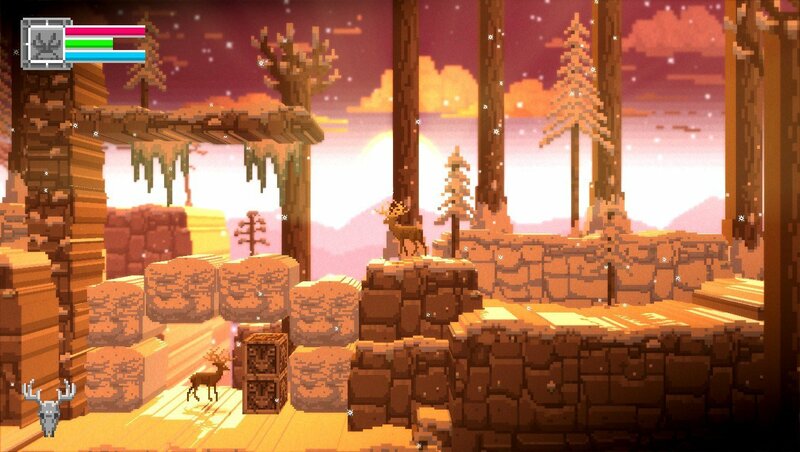 Indie games tend to go for the ‘pretty artsy’ demographic and The Deer God tries to hit on that. The Deer God places you in the role of a hunter, whose accidental killing of a fawn as he’s eaten by wolves places him under the gaze of the Deer God(dess), who reincarnates him in the body of a deer as punishment, with the directions to atone for his sins. You wander through the world, doing deer things—eating food, having kids, and fighting or avoiding cats, wolves, bears, and hunters. You also can throw fireballs and cause plants to grow, which largely even the odds against a flannel-wearing jerk taking a weekend from the office in this mystical wilderness to eat venison for two days. The game looks pretty great. 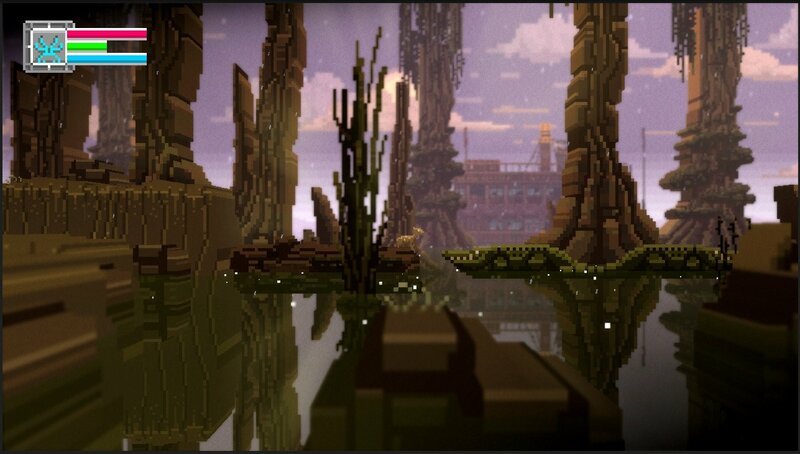 The sun rises and falls; light spilling over the Minecraft-esque landscape. While you’re locked to a 2D plane, the backgrounds extend backwards, showing off right-angle, pixel-shaded hills and mountains. The camera pans outward in flat, wide areas, such as the desert—running across one at sunset is about as impressive as a regular sunset. The lighting is fantastic, with violet light fountaining from magical temples or shining down through cracks in a cave’s ceiling. There’s a fairly wide range of areas—forests, overgrown swamps and graveyards, sparse deserts and frontier towns, and dense jungles buzzing with mostly-hostile life. The highlights for me were a sleepy Wild West town, complete with a saloon (and a few gun-toting cowboys intent to make my antlers into a stable hitch). The animals and humans are all two-dimensional pixels; rabbits, cows, wolves, bears, hunters, and even ghosts and skeletons populate these sprawling wilds. Most of them wanted to kill me, with foxes and porcupines being the first encounters that tried to end the spotted fawn I had become. Fortunately, your deer is not helpless against such attacks—you can leap and run away from most enemies and you can headbutt foes to death, causing them to dissolve into gleaming streams of lights heading for the heavens. You gain the ability to double-jump nearly right out of the gate, allowing you to run from your opponents, should you be overwhelmed by jungle cats. That rarely happened to me. Most fights had a particular rhythm to them—charge until out of stamina, leap over the charging enemy, then charge when your stamina increases. As long as you can jump, you’re largely safe—in low-ceiling areas, you can become trapped and battered to death. Fortunately, death is not the end—your deer reincarnates after its demise, reborn as another baby fawn. Surviving for several days allows you to grow up, increasing jumping height, health, and stamina, and giving you access to a wider range of your unlocked spells (based on the size and detail of your antlers). Having children with does wandering the wilderness produces fawns who act as spawn points for you (who can be made to follow or wait, giving you a mobile respawn). Death’s only penalty is to reset your ‘karma’ score, a rating of whether you’ve spent your time doing good (killing hostile predators) or evil (killing non-hostiles, like rabbits or other friendly deer). Your karma alters the spawn rate—evil, glowing-red deer face multiple hostile animals at once, while friendly creatures find more food needed to survive, as well as other items, and it resets upon death. Dying while evil also results in you reincarnating as a verminous animal, like porcupine or badger, when the game doesn’t bug out and seem to forget. However, I only had this happen once in my two playthroughs (one with each kind of behaviour). There are collectible items that give you allies to help fight or stat increases, including deer skulls that give you extra lives, respawning with your age and karma intact. These items become plentiful over the course of the game, due to the generally laid-back difficulty. The entire game being 2D, your only real direction is to go is right. Areas are randomized, with event areas appearing in linear order—passing them by only means they’re reappear a few geographical regions later. Occasionally, you can find a boss area, presenting you with a bit more challenge as you try to figure out the boss’ gimmick—a gigantic snake, which I fought several times, required I keep my mind on its lair and the structures within. These fights can kill you, costing you a few deer’s skulls, though you’ll get at least one in the fountain of items they drop when they die. Most bosses are, unfortunately, optional—only two are required, and both of these are quite straightforward. Over time, the areas become repetitive and after a while, you can recognize the various ‘blocks’ of world, down to cliff structure and pits—which becomes more egregious when you start to actually see the same two pits multiple times one after another, sapping the desire to explore to find something new. 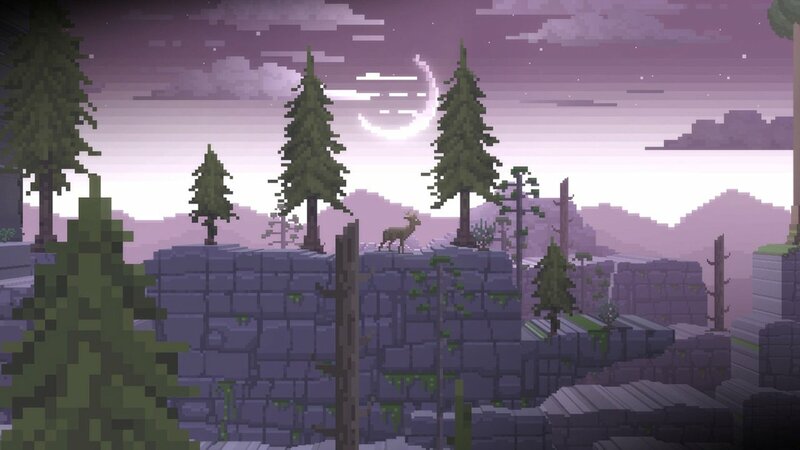 The Deer God ultimately lacks in impact, beyond its calming visuals and music. I can’t say I disliked playing it, but I felt like there could have been a bit more to it—some more complexity to the levels, some more content to discover, some better randomization. It’s a cool concept and seems mostly functional, though a bug caused me to gain nearly all the magic in the game in one go (while another rendered me incapable of truly dying). 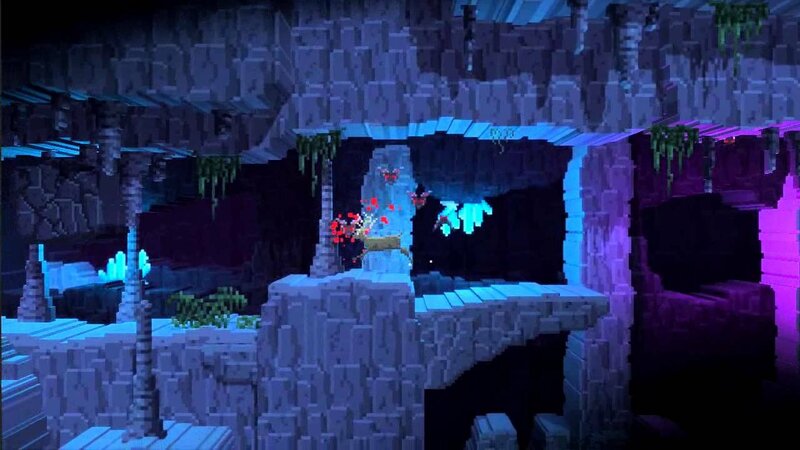 Give it a shot if you want to play a fun little platformer for a little more than ten dollars. 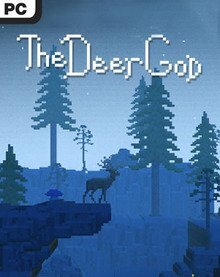 The Deer God ultimately lacks in impact, beyond its calming visuals and music.